Stream MAMMOTH GRINDER’s new track “Superior Firepower” below. 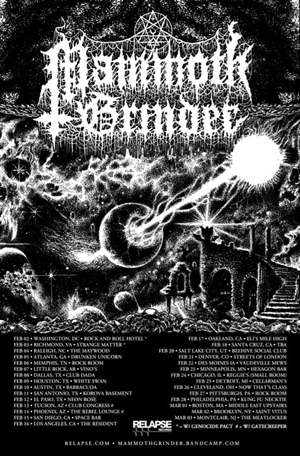 MAMMOTH GRINDER will embark on a headlining tour in January in support of Cosmic Crypt. Support will come from numerous bands including label-mates GATECREEPER, GENOCIDE PACT and more. A full list of dates is included below. 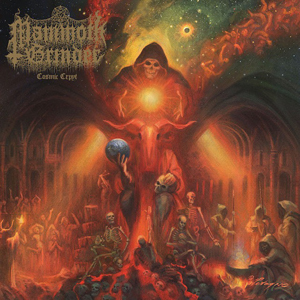 MAMMOTH GRINDER’s new album Cosmic Crypt is due out January 26th, 2018 on CD/LP/Digital via Relapse Records. Physical packages and digital order are available via Relapse.com and all digital retail outlets. "Servant Of The Most High"